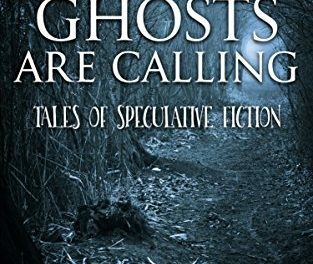 Vaughn Entwistle’s collection of spooky stories gets off to a great start, with the chilling “Who’s Calling?” A young couple have bought their first home – it’s a real fixer-upper in a rather less than salubrious area, still filled with the collection of telephones that the previous owner had hoarded over the years, before passing away in the flat. Left locked in for her own safety while her boyfriend goes to collect his brother to help do some work on the flat, Gemma starts to get nervous about the creepy environment, imagining what might lie behind the cellar door that has been painted shut. When the phones begin to ring, and strange voices speak on the other end, Gemma realises that this may not be their dream home after all. Entwistle’s writing covers grimy urban environments, spooky forests, suburban Canada, Weston Super Mare, even Blackpool in the rather Sixth Sense-esque “Ghost Train”. 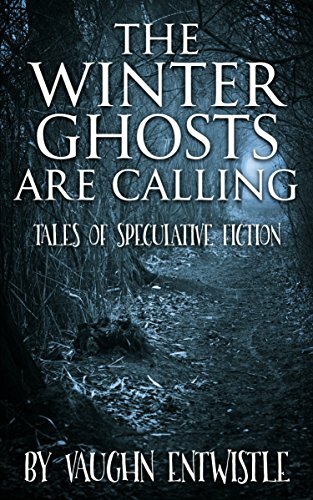 Many of his stories set goosebumps a-tingling as the tension builds, and the final tale “The Winter Ghosts Are Calling” takes an interesting look at a primitive tribe preparing to make a sacrifice to their gods to make winter end and spring begin. 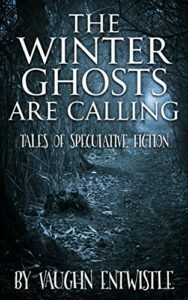 A good collection of spine-chilling tales to read on your own on a dark autumnal night in a semi-lit house.